In support of the play improv QAL and in addition to all the mini quilts I made in support of each week's prompt, I've been making a wall hanging improv quilt. It is almost but not quite done. I though I'd share a couple of progress photos to give you a sneak peak! First, can you spot the difference between these two photos? I'm just glad I realized I was missing the letter n before my piecing of the quilt top progressed any further! I took my extra blocks and used them on the back - here is a view of part of the back. I really like the way it looks. I can't wait to share my final project. I used American Made Brand fabrics for my quilt and Aurifil thread for my quilting. The overall link up opens on April 11 and submission of parade photos is due by May 1. 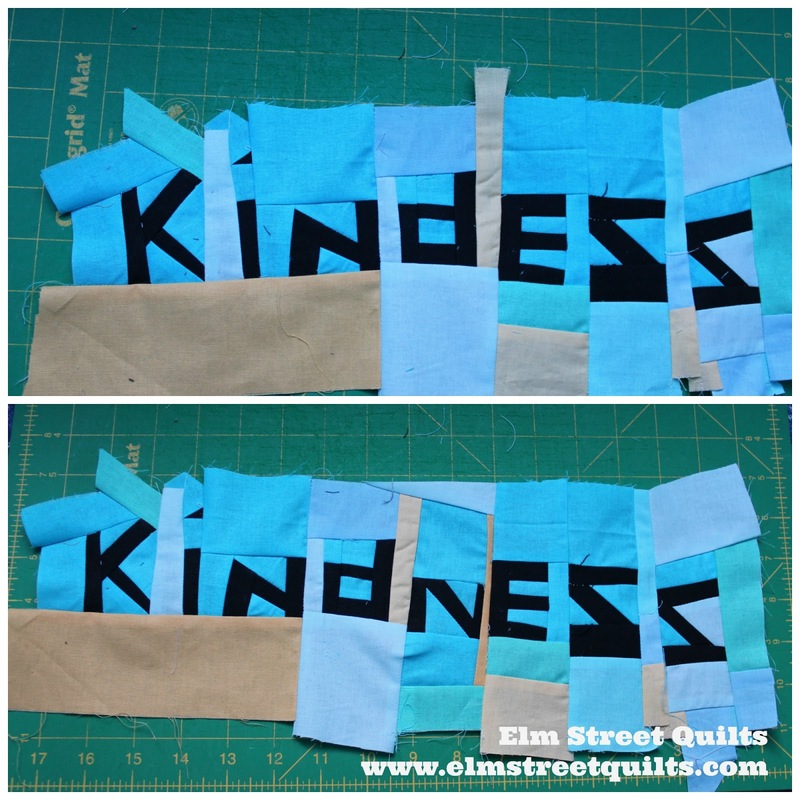 Read more about play, an improv QAL here - it isn't too late to join the fun! A very lucky catch. Looks like a very fun mini in the works. That made me laugh! Did you run into that problem with your big Words quilt? I've enjoyed this QAL so much - I had Monday improv prompt withdrawal today! But my improv quilt is now quilted and ready for binding! Thanks so much for all the fun!